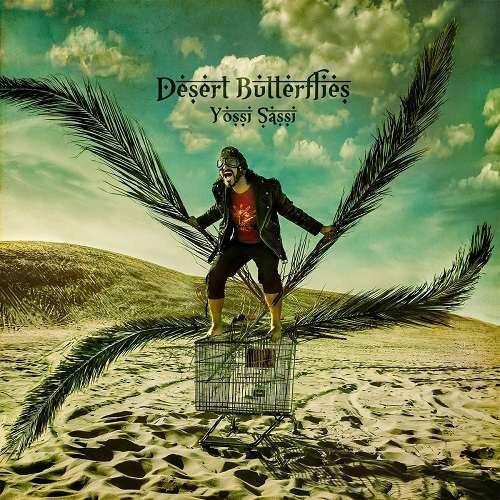 Yossie Sassi is of course known as the front man of Orphaned Land. Recently he pointed me (via twitter) to this solo album I was not aware of and I am surely glad he did. For those that do not know, the man is a gifted guitar player and has a great feel for melody. So part of this album is instrumental and if I should reference it, I’d say think of Joe Satriani, but with a distinct Eastern flavour and sometimes a bit of Vai’s craziness and a touch of fusion to spice it up. The result are songs that are easy to get into because of the catchy melodies and impress with their feel and sometimes flashy playing. Of course it is that Eastern flavour that gives Sassi an identity of his own. It runs in his blood after all. But he is not a one trick pony. For me it is obvious that he is a musician that knows how to express himself on multiple levels. And the result works brilliantly. Songs like Fata Morgana, Orient Sun or Azadi prove the point effortlessly. And how can we not applaud a man that wants to unite people instead of dividing them. Regardless of race, belief or country. Amazing work if you ask me, and even when it is not as heavy as his band, I am confident that everyone into quality will agree that Sassi delivers the goods here. So make sure you pick up a copy! 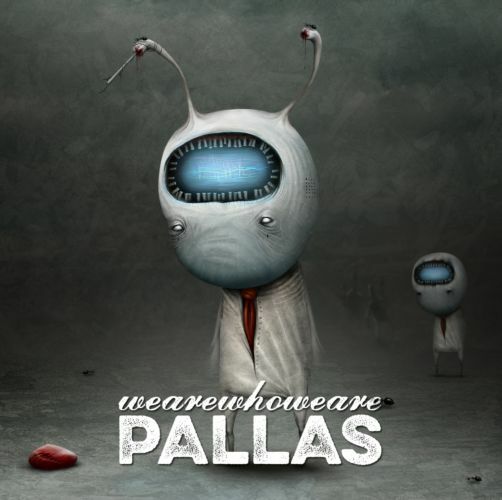 Pallas have been around for quite a while and in my humble opinion always deliver interesting albums. This is the second with singer Paul Mackie, who replaced personal favourite Alan Reed in 2010. Paul also has a good voice and is able to vary a lot, and does nice harmonies as well, so no complaints! The biggest change I see in this release however, is regarding the artwork. Especially people who already are afraid of clowns will find this ehhh interesting? Just kidding, this is very intriguing work and surely adds to the whole package! Why the band went for the Indiegogo route I don’t know, maybe that they wanted to gain more control over the result? But going indie did not have an impact on quality. This is vintage and solid Pallas so anyone familiar with the band should be able to enjoy this as well. And if you do not know them but like prog, this is a band you ought to discover! Some of you might know Dan Swanö (vocals, guitar, keyboards) from his more heavy projects like Witherscape or Edge of Sanity. My personal favourite is this, his band Nightingale. It’s been a while, but finally that seventh album has hit the stores. 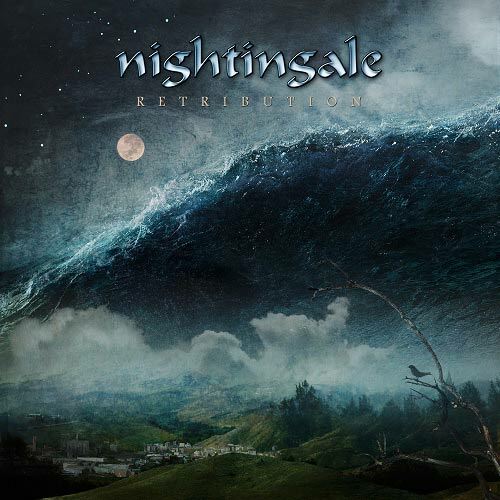 If you are not familiar with Nightingale, it is promoted to fans of Marillion, Arena, Rush, Threshold, The Mission or Opeth. And I can live with those names although I think that the melodies here will also appeal to people that love darker melodic rock. Because it surely falls into prog rock / metal territory, but is very melodic and thus easy enjoyable. The dark voice of Dan is a joy, his gravelly tones are accompanied by clever harmonics and the result is a pleasure to listen to. Never a man to take the easy route, this album is another testament of a man who seems to excel at everything he does. So I totally agree with the sticker on the CD that says this is a timeless hybrid of atmospheric metal, catchy AOR and melodic prog. 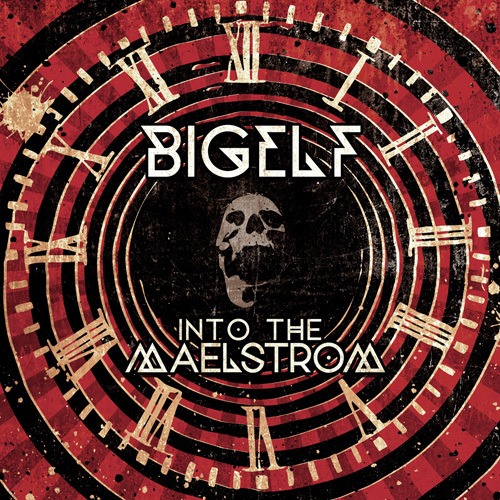 Together with his brother Dag on guitars and keyboards, Erik Oskarson on bass and Tom Björn on drums, this album only needs 2 things, a repeat till night falls and a successor within a year or 2. Great stuff, get it! Dario Grillo is a busy man. 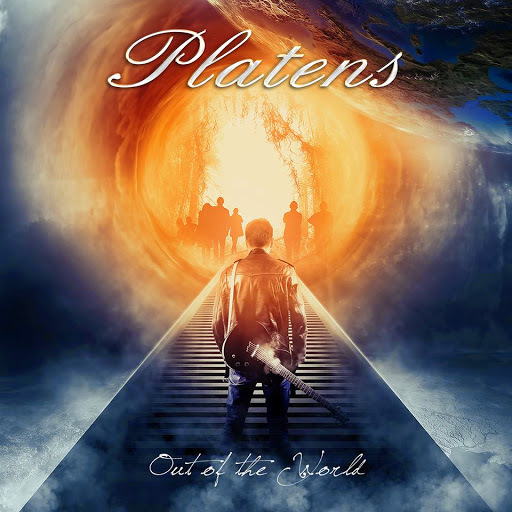 Another band of him Violet Sun, was featured here not that long ago, and now he is back with what I believe to be the second Platens album, on the wonderful Melodic Rock Records label. Here he is the singer, guitar player and adds some keyboards as well. And the name of the record label gives a bit of a clue as to what to expect. Melodic rock it is, albeit with a somewhat more elaborate feel to the songs. So do not be surprised if some songs border a bit into prog territory. But that actually makes for a far more interesting listening experience. 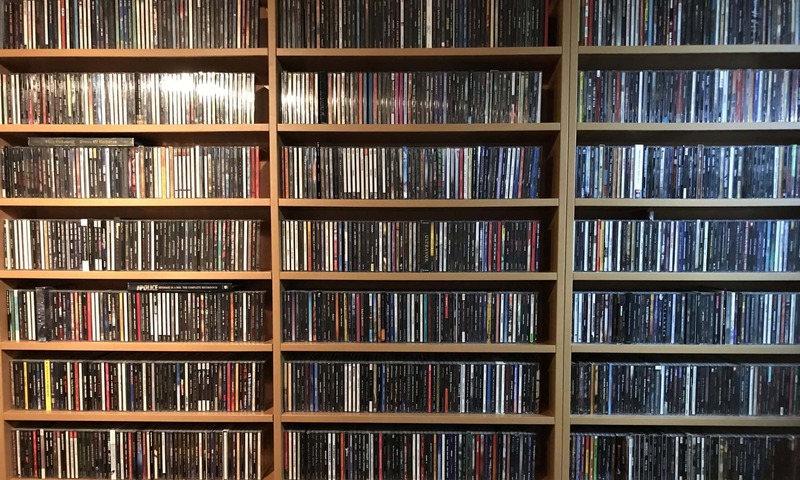 We get some breaks and instrumental parts and solos along the way, but they never take away the thing that melodic rock is favoured for, melodies. And lots of harmony vocals of course! So this Italian quartet is on a roll here. Where I find some of the artists delivering quite predictable songs in this genre, that is not the case here. Because of the extended arrangements, never a dull moment! But please don’t think this is a genuine prog album. This is melodic rock with catchy choruses. It’s just the approach of the band making them work harder at delivering interesting songs. Mission accomplished, great album! 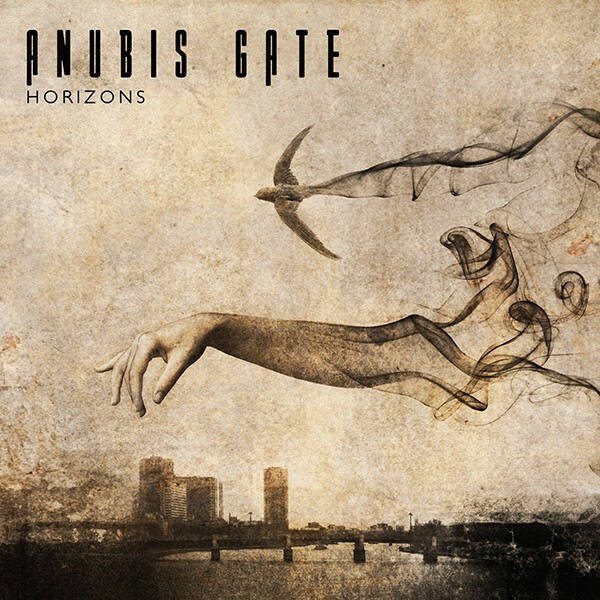 Every time I listen to an Anubis Gate album, I am reminded of how great progressive metal can be. For me this is one of the best bands in the genre! And the reason for that is simple, they care about the song and technique is a means, not the destination. So their songs are rich, full of ideas and instrumental prowess, but above all they are melodic and are able to reach out to the listener. And since I happen to believe that music should be able to connect and not impress on pure wizardry alone, for me they are doing the right thing. This quartet gets it and keeps delivering stunning albums. Singer and bass player Henrik Fevre is a real treat with his vocals. Fairly midrange perhaps, but very convincing, and the clever mixed in harmonies just add to that melodic sense. So even when the band will tick the right boxes for many (impressive breaks, solos and even a 14 minute epic) for me the songs are what sets these guys apart. They may be a bit more technical than another genre favourite of mine, Threshold, I absolutely dig this stuff big time. Just a pity their older work is so hard to get and only for big money. Maybe their current label Nightmare Records can look into that as I am still missing a couple of earlier albums 😉 If you love progressive metal, this is one to own! 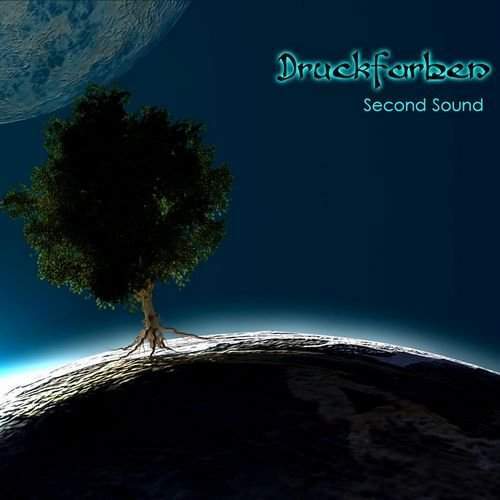 A band that has long held a place on my “go check them out” list are the Canadians of Druckfarben. Mainly because I was familiar with singer Phil Naro out of the melodic rock circuit and Druckfarben are a prog band. So that made me kinda curious. If I ought to describe or reference the music of this band, I would name 3 bands: Yes, Kansas and Cairo. Yes because Naro’s voice sometimes sounds surprisingly close to that of Jon Andersson (although with a bit more of an edge to it), as well as because of the complex themes and the addition of a second vocalist. Kansas because of the violin that pops up and because the music also has lots of memorable hooks and Cairo because of the role of the piano. And I think that also gives a good impression of the music on this second (duhhh) album from the band. And whilst the music is complex with a lot of notes and interaction between the instrumentalists, having a vocalist like Phil Naro also makes sure that the melodies are there when you need them. And melodies are what a lot of people seek for as they make them connect to the songs. It is safe to say that this album is very good if you, like me, like any of the bands mentioned. It makes me want to go out and buy their first one as well, so if anything, that is a recommendation! It took me a while to lay my hands on this Tragik album, but here it is! Tragik is the band where site regular Phil Vincent is joined by Dirk Phillips on drums and Damian D’Ercole (also in another Vincent fronted band, D’Ercole) on guitars. Other guests are Vince O’Regan (his buddy in Legion) on guitar solos and Eric Ragno plays keyboards on opening track Look At Me Now. The first couple of songs actually made me think a bit of Legion. Very heavy and pretty straight forward rockers. Of course with Phil’s trademark melodic vocals and awesome vocal harmonies but still. And then we get Reflections (Walk Away) and that is such a beautiful song! Much more laid back, with acoustic guitar and synths, stunning! Also with a fine solo that has a more different feel that regular. This is more the Tragik I love so much. Because from all the bands that Phil is in, I regard Tragik as the one with the most experimental approach. Well maybe with the exception of Forest Field, but that’s another story. Great singing as usual, an album that grows with every spin, all in all another damn fine release by the band, get it! 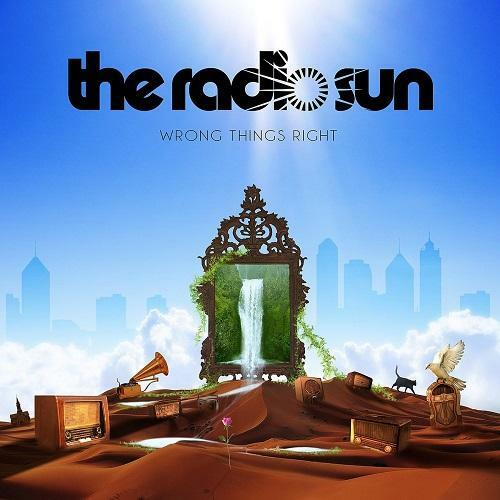 With their new album expected for coming September, I’d better hurry with writing about the The Radio Sun debut! Another Aussie band on Down Under label Melodic Rock Records, and with on guitar Black Majesty’s Steve Janevski. Yet here the guitars rock in a much more polished fashion when compared to that band. This is more in the Journey mould of things. High on melody and catchy as hell, so short songs (3 to 4 minutes) with massive amounts of harmony vocals to make sure everyone is able to enjoy this and a bit of guitar soloing along the way. All 4 members contribute to the vocal department, but lead singer Jason Old is showing the way. Furthermore we have Ben Wignall on drums and Robbie Erdmanis on bass. And some guests too, like Paul Laine (Danger Danger) providing keyboards and backing vocals and also mixing the album. The album as said is really melodic and polished, personally I like the somewhat longer songs like (especially) World’s Gone Crazy, Goodbye or Beginning Or The End best. I think they are a bit more adventurous and have more intense guitar playing. I suppose Janevski does the soloing and he puts a lot of heart and soul into his playing. But for anyone who likes their rock melodic this is a no brainer and definitely one to pick up. One of my favourite bands of all time have released another album, last years’ Outsider. 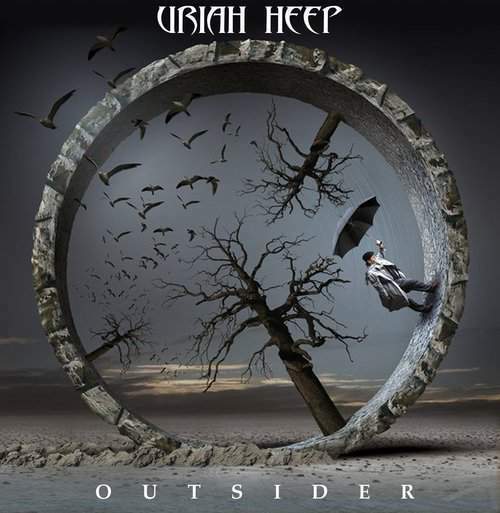 And while some bands are good because they keep evolving, Heep are good because you always know what you are going to get. Okay, this might be the first album to feature new bass player Dave Rimmer (RIP Trevor Bolder), all the band typicals are present. Guitar and wah solos by wizard Mick Box, screaming hammonds by Phil Lanzon, steady beats from fairly new boy Russell Gilbrook, trademark vocal harmonies from the whole band and the familiar pipes of lead singer Bernie Shaw. And like in every live show they play, where ever in the world, the energy is still there, in loads. Which is probably the short and most important reason for their continued presence and welcome, even after 45+ years of recording and touring. Be it for 400 or 40.000, they always give their all. So a safe buy and no need to elaborate on the eleven songs on offer here. This is vintage Heep, this is rock, this is as valid as their 1970 debut. Respect and love, may they continue for years to come! If you have ever listened to this band before than you will already know what you can expect from this album. Or check a previous post here. This is a dose of The Beatles, mixed with a dash of Black Sabbath and all that coupled with a bunch of vintage keyboards like the mighty mellotron and a tiny little bit of crazy… If you like them like I do, than that is probably all you will need to know. To those left behind, in my humble opinion you are missing out on a wonderful retro sounding band! Well, take that retro with a pinch of salt, because when these guys turn up the guitars, it gets more heavy than anything out of the seventies. But the combination of styles I mentioned above works just like a charm for me. All their albums are pleasant to say the least and provide hours of listening joy. And I am not the only one, for instance Mike Portnoy is a fan and even joined them on stage. So we did some name dropping, gave some references and still you do not have a clue? Well, one thing left to do then, go check them out! !